Heaven’s hulking enforcer is on the hunt for both demon blood and the truth about his origin. His never ending battle takes him to a wild horse preserve in England where he must destroy or be destroyed by a hellish, bestial huntsman who feasts on unwitting campers. Well, the art is great – Churillo gives some great page art, especially when the huntsman arrives and a battle royale breaks out between him and The Anchor. The story is a bit bewildering at times (I did not pick up issue 1 for review – but I am going to go back and rememdy that), and there are a lot of panels in this issue, packed full of dialogue and action. There is a lot to get through, and you certainly get your moneys worth in terms of story. By the end of the issue I was pretty impressed – I loved the fight scenes, and the panels set out in space have a Ditko & Dr Strange quality that is slightly psychedelic and quite engrossing. This is a comic book stuffed full of little treats – I liked the fact that I have now read a comic book where ‘Strathclyde’ is mentioned (and I learned today that it was the old name for Scotland!). One to watch – it is finding its feet, but ‘The Anchor’ could quickly find a home in the hearts of those who hanker for Dr Strange and Hellboy type thrills. And did I say the art is great? Not only that, but the colours, by Matthew Wilson really bring out an old-school Marvel feel to the proceedings…. 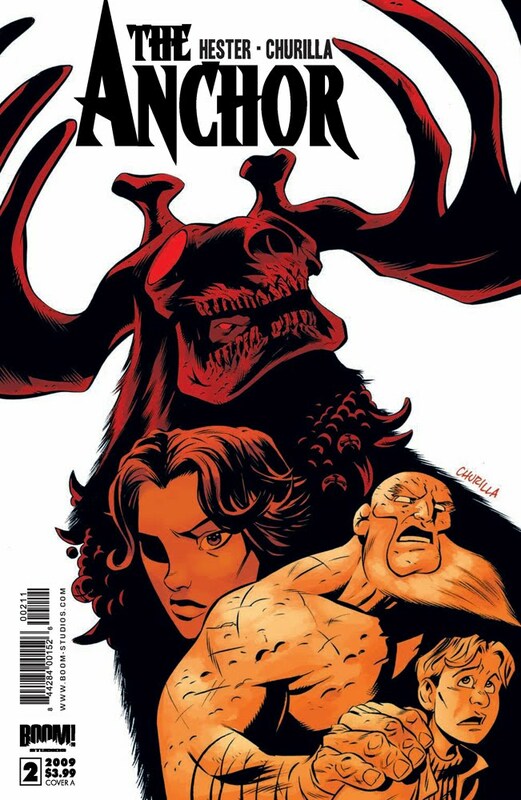 ‘The Anchor’ #2 is out tomorrow (11th November) from Boom!